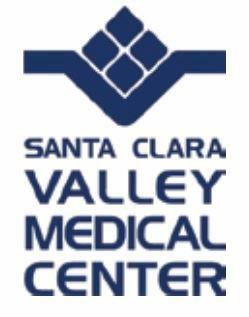 Santa Clara Valley Medical Center (SCVMC) in San Jose, California is a public teaching hospital affiliated with Stanford University. As a designated Level One Trauma Center and Safety Net hospital, SCVMC handles more than 25,000 inpatient admissions and 800,000 outpatient and emergency visits annually. It is the only healthcare facility in California that co-locates five trauma and emergency care services on one campus: adult and pediatric trauma centers, spinal cord injury center, brain injury center, and burn center. It is the busiest healthcare facility in the region, ultimately serving the health needs of one in four residents of Santa Clara County. After the introduction of the Affordable Care Act (ACA) in March 2010, SCVMC became even busier, increasing its average daily bed census to 380 beds. Given staffing levels and infrastructure, the hospital was experiencing too many delays in patient admissions. Wait times increased from when a patient was stabilized in the Emergency Department (ED) to when they were admitted into a hospital bed. As one can imagine, this added anxiety to an already stressful situation. With the passing of the ACA, consumers have more knowledge about healthcare provider options and a greater ability to choose among them for their healthcare needs. SCVMC leadership realized that in order to meet the new level of patient demand and strengthen loyalty over time, they would have to provide the best possible patient experience across the board. The hospital launched the Patient Flow initiative, which included the goal of removing all roadblocks that could occur from the time a patient was discharged and until the time a bed was made available. All facility and care providers were asked to step up support levels to optimize efficiency and patient satisfaction. With this objective in mind, the SCVMC Environmental Services (EVS) staff focused on an opportunity to improve inpatient bed turnaround times, which would directly impact the ED and admitting wait times. Environmental Services plays a critical role in providing a quality care experience to hospital patients. They are also responsible for readying each hospital room after a patient is discharged. Delays in that process, or in communicating the status of an available room, can cause backups in the ED and Admitting when patients have to wait for a bed to open. To do their job prior to Vocera, EVS staff had to log in to a computer and then into Epic, the hospital’s electronic health record system, to mark a cleaning request in progress or complete. The process involved several steps and was cumbersome, resulting in delayed updates to bed availability. Understanding the role that communications played in achieving the goal of reducing inpatient bed turnaround time, SCVMC approached Vocera and Epic to create and implement a two-way integration between the Vocera® Communication System and Epic’s environmental services so that bed status updates could be streamlined. Using Vocera’s robust clinical systems integration and workflow capability, SCVMC was able to quickly create and deploy a solution that streamlined workflow, improved bed turnaround times by over 50%, and provided a better patient experience. Environmental Services staff now use the Vocera system to easily and quickly respond to messages from Epic alerting them of new bed requests. They can also easily update the status of room cleaning requests and bed availability in real time. Using the Vocera Communication Badge, EVS staff are able to save valuable time by eliminating the steps needed to find a computer, login, and provide updates. In addition, the solution provides EVS supervisors and nursing staff insight into time-based data for better quality, performance, and patient flow management. By utilizing the power of the Vocera Platform, which not only includes robust communication capability but also flexible integration and workflow engines, SCVMC has reduced bed turnaround time by over 50%. As a result, patient wait times have been reduced and admissions throughput improved. More effective communication has also improved the overall work environment because staff are able to perform job-related activities with more ease. With more efficient admitting and faster bed turnaround time, the hospital expects an increase in revenue. Since the implementation of real-time communication, there’s no more second guessing whether the system has been updated to reflect which beds are actually ready to receive an incoming patient. Environmental Services management and nursing supervisors no longer have to scramble from room to room and floor to floor to see which beds are available.